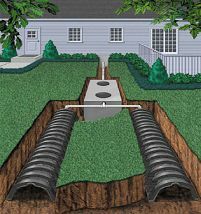 Basic Drilling Co. has been installing septic systems since 1955. 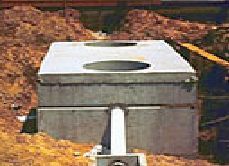 At that time, cesspools were actually more common than septic tanks in the rural areas around Phoenix for “on-site” waste water disposal. Most of these holes were “dug” with a simple bucket drill-rig. A lot has changed in the on-site waste water industry since then, and we’ve been there every step of the way. With over 50 years of experience, you can count on a quality installation performed by seasoned personnel. We have installed tens-of-thousands of waste water systems over the decades. Mountain side or “difficult” sites are our specialty. 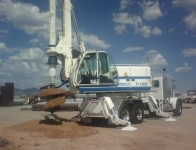 Basic Drilling Co. has successfully installed septic systems all though-out Arizona. We have had a wide exposure to Arizona’s varying soil types, geology, and hydrologic conditions. Basic Drilling Co. OWNS a well maintained fleet of Backhoes, Dump Trucks, Drill Rigs, Boom Trucks and Water Trucks. We try to do as much work “in house” to keep construction costs down. This also gives us the ability to start your project on time and stay on schedule. When considering your choice for your contractor to install your on-site waste water system, keep in mind that this key component of your project has to last for many decades, and this is no place to cut corners. 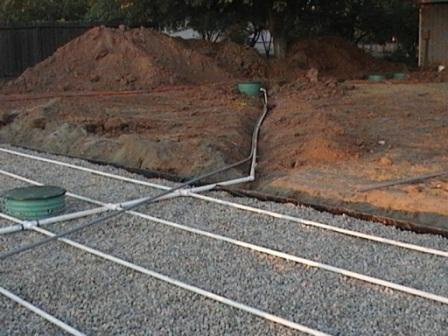 Basic Drilling Co. specializes in the design, permitting, and installation of on-site waste water systems. We are NOT an excavation subcontractor, "joe-plumber", or “dirt guy”. For more information regarding our septic system installations, give us a call at 480-983-6787, or reach us through our Contact Us page. We have a long list of satisfied customers: General Contractors, Home-Owners, and Developers. Upon request, we will be pleased to provide a detailed work history or a Statement of Qualifications.